The following are the latest results contributed by HM Courts Service, for cases sentenced by West Sussex Magistrates’ Court sitting at Worthing from March 15 to 20, 2019. Michael Chmaryznski, 64, of Western Road, Lancing, was fined £70 and must pay £30 victim surcharge, £85 costs, after admitting driving without wearing an adult belt in Old Shoreham Road, Hove, on January 11, 2018. Tony Merrett, 36, of Lyminster Road, Wick, was discharged conditionally for 12 months and must pay £75 compensation, £20 victim surcharge, £150 costs, after admitting assault by beating in Littlehampton on October 18, 2018. Peter Johnson, 21, of Hillside Avenue, Broadwater, was fined £250 and must pay £30 victim surcharge, £85 costs, after admitting driving without due care and attention in Wigmore Road, Broadwater, on February 26, 2019. He was fined £166 after admitting failing to stop when required by a police constable in Wigmore Road, Broadwater, on February 26, 2019. He also admitted driving without the correct licence and driving without insurance, no separate penalty. John Lyon, 52, of Leeward Road, Worthing, was given an 18-week prison sentence, suspended for two years, with 18-week curfew, electronically monitored, from 8pm to 5.30am, after admitting drink-driving (169mg of alcohol in 100ml of breath) in Littlehampton Road, Worthing, on February 27, 2019. He must pay £115 victim surcharge, £85 costs, and was disqualified from driving for 36 months. Angus McKenzie, 54, of Normandy Drive, East Preston, was given a community order with Rehabilitation Activity Requirement and must carry out 40 hours’ unpaid work after admitting drink-driving (74mg of alcohol in 100ml of breath) in Sea Lane, East Preston, on March 1, 2019. He also admitted driving without the correct licence, no separate penalty. He must pay £85 victim surcharge, £85 costs, and was disqualified from driving for 40 months. Trey Martins, 22, of Wick Farm Road, Littlehampton, was given a 12-week prison sentence suspended for 24 months with Rehabilitation Activity Requirement after admitting assault by beating in Bognor Regis on December 31, 2018. He was also given a restraining order and must pay £115 victim surcharge, £85 costs. He was fined £50 after admitting failing to surrender to custody at Worthing Magistrates’ Court on January 21, 2019. He admitted damaging an internal door in Bognor Regis on December 31, 2018, no separate penalty. He also admitted breaching a community order by failing to report for unpaid work on November 13, 2018, and December 11, 2018. The order was varied to include an additional ten hours’ unpaid work, making the total 155 hours. 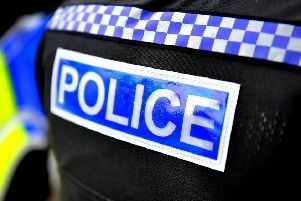 Jack Hibbert, 22, of Wick Farm Road, Wick, was given a 16-week prison sentence suspended for 18 months with Thinking Skills Programme Requirement and Rehabilitation Activity Requirement after admitting having an offensive weapon, a silver metal pole, in Arundel Road, Littlehampton, on July 11, 2018; and two charges of using threatening, abusive or insulting words or behaviour or disorderly behaviour with intent to suggest immediate unlawful violence would be used or provoke the immediate use of unlawful violence in Littlehampton on July 11, 2018. He was also given a restraining order and must pay £114.97 victim surcharge, £85 costs. Linton Woolley, 30, of Lavinia Way, East Preston, admitted breaching a suspended sentence order and was dealt with for the original offences, receiving a 23-week prison sentence for possessing a bladed article, a large kitchen knife, in Kent Road, Littlehampton, on October 17, 2018. He was given a three-week consecutive prison sentence after admitting stealing alcohol and a scratch card worth £30.98 from One Stop, East Preston, on January 1, 2019. He was given a three-week consecutive prison sentence after admitting stealing meat worth £74.10 from Aldi, Rustington, on February 24, 2019. He also admitted breaching a community order and was dealt with for the original offence, receiving seven three-week concurrent prison sentences for stealing alcohol from Tesco, Durrington, on December 13, 2018; stealing vodka from Sainsbury’s, Rustington, on October 16, 2018; possessing cannabis and cannabis resin, class B drugs, in Worthing on October 16, 2018; stealing alcohol from Tesco, Littlehampton, on August 1, 2018; and three charges of stealing alcohol from Waitrose, Rustington - on August 6, 14 and 15, 2018. He must pay £114.98 victim surcharge. Robert Crockford, 47, of Downview Close, Yapton, was fined £92 and must pay £30 victim surcharge, £85 costs, after admitting driving over the 30mph speed limit on the A29 London Road, Coldwaltham, on April 21, 2018. His driving record was endorsed with three points. Mark King, 57, of Eastern Avenue, Shoreham, was fined £370 and must pay £37 victim surcharge, £85 costs, after admitting driving over the 50mph speed limit on the M25 at Clacket Lane Services on June 1, 2018. His driving record was endorsed with six points. James McDonald, 52, of Chester Avenue, Lancing, was fined £53 and must pay £30 victim surcharge, £85 costs, after admitting driving over the 30mph speed limit in Kingsway, Hove, on January 6, 2018. His driving record was endorsed with three points. Jessica Reeve, 29, of Chilgrove House, Wick, was fined £40 and must pay £25.82 vehicle excise back duty after admitting using an unlicensed vehicle in Arun on July 9, 2018. Andrew Beckett, 31, of The Linkway, Brighton, was given a community order with Rehabilitation Activity Requirement after admitting stealing brandy, cheese and fish worth £16.96 from Lidl, Worthing, on December 7, 2018; and using threatening, abusive or insulting words or behaviour or disorderly behaviour with intent, racially aggravated, causing harassment, alarm or distress in Worthing on December 7, 2018. He must pay £50 compensation, £85 victim surcharge. Daniel Graham, 19, of Chancton House, Goring Road, Steyning, was fined £50 and must pay £30 victim surcharge, £85 costs, after admitting resisting a police constable in the execution of his duty in Offington Avenue, Worthing, on February 18, 2019.